Smoke, fog, mist, haze – no matter what you call it, using this technique adds a distinctive look to your images. Light is invisible - you, and your camera, can only see it once it reflects off of something like a person, tree, wall, etc. Whether you’re shooting stills or video, sometimes you want to ‘see the light’ in your image. Perhaps you want to see beams of light to add texture to your shot, or establish the illuminated area surrounding your subject to convey a color scheme or a mood. In order to make that light visible, you’ve got to introduce some sort of particulate into the air such as dust, powder, or the subject of this post – theatrical fog. 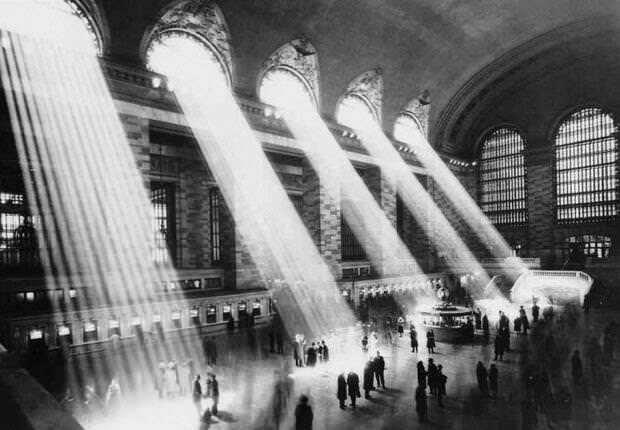 Hal Morey’s iconic photograph of shafts of light inside New York City’s Grand Central Station. Perhaps the most common use of fog in photography is capturing the beams, or shafts of light generated by elements in the shot. In order for this effect to work, you need two things – a shadow that will shape your beam of light and particles in the air for the light to bounce off of. This is a great effect for shooting locations with architecture, foliage, or windows & blinds – anywhere with interesting shadows to break up the beam. In order for your camera to see those shadowy shafts of light, it’s necessary for the light to be shining through some sort of translucent cloud - which is what theatrical fog does best. Jay Holben uses fog to add character to the location in the shot on the right. Not everyone has the luxury of shooting in a location like Grand Central Station, but even adding a little fog into a simple location like a home or office adds extra drama into the scene. Creating that beam-catching, haze effect indoors, is a great way to capture the shadows of light coming through windows or generated by your own gobo, cucoloris or light modifier. The image above comes from an article in DV Magazine where Jay Holben talks about theatrical fog techniques and his experience using fog to add texture into residential scenes he shot for a feature film called Black Tar Road. Haze in your shot (bottom) reduces contrast, which adds depth to your background. Jay also explains in his article how theatrical fog can be used to reduce the contrast in a shot. “[Theatrical Fog] tends to create a ‘hazy’ effect so that the background seems to be further away. It requires a light but consistent level of fog. Spray the fog into the room in small doses and waft it around until it dissipates into a single, consistent layer of haze without definition. The closer your subjects are to the camera, the less they will be affected by the fog. It creates a wonderful depth and feel.” You can see that technique illustrated in Jay’s Black Tar Road shot above. Video, courtesy of The Slanted Lens, that illustrates how to create beams of light outdoors. In this video, Jay P. Morgan and The Slanted Lens showcase how to capture an image with beams of sunlight streaming through the trees. It’s a great look – but difficult to achieve unless you’re willing to wait for mother nature to supply you with a morning mist, smoke from a nearby brush fire or dust on a windy day. Creating it yourself with a fog machine is much more reliable and gives you more control over the effect. 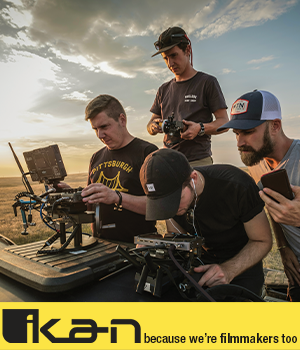 If you’re shooting outdoors know that breezes, wind and other air currents will make it difficult to keep the fog in place. The amount of breeze or wind, along with the humidity levels, at your location that day will determine how long the effect stays around and how dense the effect is. Photo of comedian Eddie Griffin surrounded by color-coordinated fog. Fog is also a great way to create a sense of time, space or mood in an image. 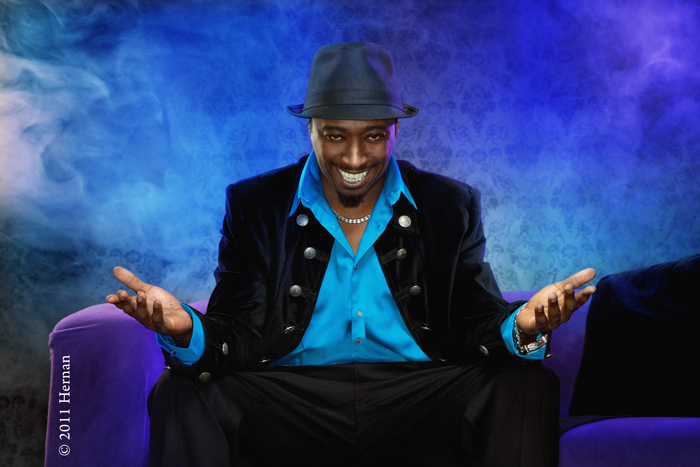 When Hernan Rodriguez shot this portrait of comedian Eddie Griffin, he used smoke to not only add some drama and texture to the background, but he was also able to color-coordinate the smoke with the elements in the set and wardrobe by simply lighting the fog with the appropriate Rosco color filters . “Smoke on the Wedding” by Walter Fantauzzi - http://www.walterfantauzzi.com. In this final photo, Walter Fantauzzi utilizes fog to accomplish all of the techniques mentioned in this post: he captures the light streaking through the window in the background, adds depth to the shot by reducing contrast of the background and he kisses the fog in the lower right-hand corner with a little yellow light to contrast with the hazy blue light in the windows on the left-hand side – all of which draws the viewer’s eye to the bride. Hopefully, this post has inspired you to add theatrical fog into your images. Rosco manufactures a complete range of fog machines and fog fluids to produce the right amount of volume, opacity and longevity for your shot. 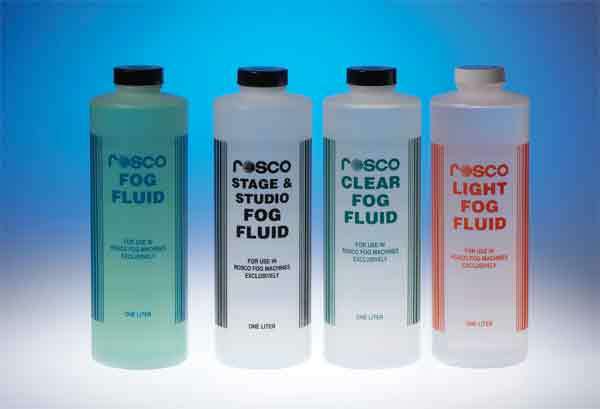 Visit the Rosco website to find the right fog machine and fog fluid for your upcoming project. We’d love to see any of the fog-filled images you create in our Rosco Strobist Flickr Pool or our Rosco Facebook Page. 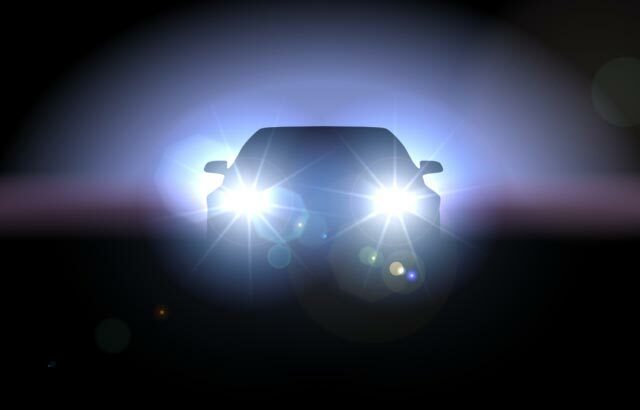 Author E.L. Doctorow (“Billy Bathgate,” “Ragtime,” “The Book of Daniel”) once wrote that “writing is like driving at night in the fog. You can only see as far as your headlights, but you can make the whole trip that way.” A photographer, on the other hand, would stop the car, place a red-gelled speedlight under the rear bumper to accentuate the brake lights in the fog and use the streaking headlights to create a stylized image of the car for the author to use on the book jacket.